Not all bankruptcy attorneys are perfect. Some charge more than their services are worth while others charge a reasonable fee but have no time for their clients. While you can’t always predict whether a bankruptcy attorney will serve you well, you can look for characteristics of “bad” bankruptcy attorneys during your free consultations. This page will identify 3 characteristics of “bad” bankruptcy attorneys. Consumer bankruptcy is a busy practice by nature. It is not uncommon for a bankruptcy attorney to have a standing caseload of over 30 clients. However, a bankruptcy attorney should never be so busy that they cannot personally meet with you for a free consultation. If you don’t meet with the bankruptcy attorney for your free consultation that’s a red flag. You want an attorney who is available throughout the bankruptcy process, not an overworked attorney who has no time for you. Some bankruptcy attorneys have the bad habit of keeping their clients waiting. If the attorney is late to your free consultation you may want to consider scheduling another consultation with a different attorney. Bankruptcy attorneys should respect your time just as you respect theirs. However, there are some excusable instances of the attorney being 5-10 minutes late to your meeting. If the attorney is late to your consultation because they were helping another client, you should admire the attorney’s commitment to customer service. Excellent bankruptcy attorneys do not avoid client calls or limit their advice, but go the extra mile in keeping their clients informed and educated throughout the bankruptcy process. Sometimes that extra mile requires making an unscheduled return call to a client. Yes, those return calls delay the attorney’s schedule, but they mean a lot to worried clients. We all know when we’re being sold something. You get the feeling that the salesman is subtly manipulating you into spending money that you don’t want to part with. That same feeling may arise during your free consultation. If you feel like the attorney is subtly manipulating you into hiring them, consider taking some time to think about it. Unless there is a reason to file an emergency bankruptcy petition, take a few days to weigh your options. The bankruptcy attorney you want to hire will not “sell you” their services. They don’t need to brag about how great they are. The bankruptcy attorney you want to hire will thoroughly analyze your case during the free consultation and will be upfront with the cost of bankruptcy. The attorney will not “sell you” on anything, but will be candid and thorough with their advice. After the consultation you can make your own decision on whether bankruptcy and the attorney is right for you. You want to hire a bankruptcy attorney who carefully analyzes your financial situation and answers all of your questions. When you start your bankruptcy and have questions or need clarification on an aspect of your case, you want an attorney who will return your phone call and give you the benefit of their time and experience. Sacramento Law Group’s bankruptcy attorney will take the time to help you understand what is happening with your chapter 7 or chapter 13 bankruptcy throughout the bankruptcy process. 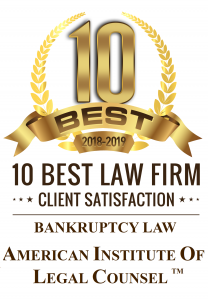 After you have found a bankruptcy attorney who gives you the benefit of their time and experience during the free consultation, consider hiring them to represent you in your chapter 7 or chapter 13 bankruptcy.